Hi, this is Amanda and Paul from Mornington Sea Glass. 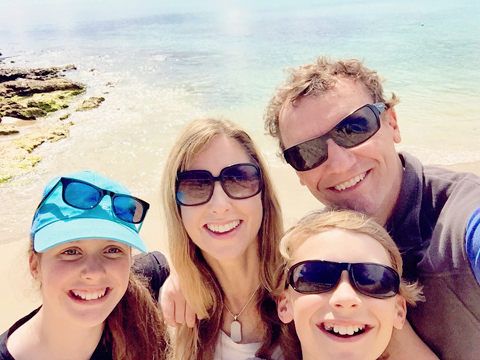 We are a wife and husband team from the Mornington Peninsula. 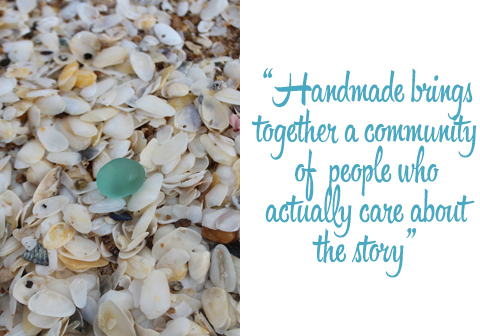 We create jewellery and homewares using sea glass collected from beaches near and far. 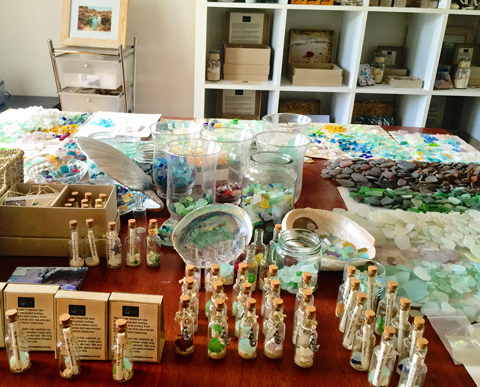 Our handmade sea glass creations include glass that has washed up along the scenic beaches of the Mornington Peninsula, around Australia and distant shores abroad. 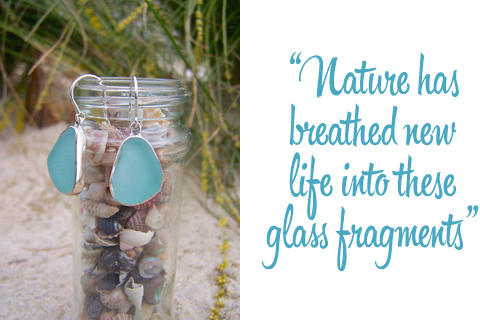 We only use genuine sea glass that was collected on a beach and shaped naturally in the sea. It is our belief that if our oceans and bays have taken significant amounts of time to shape the glass then it is our role to display them as they were found; as nature intended. 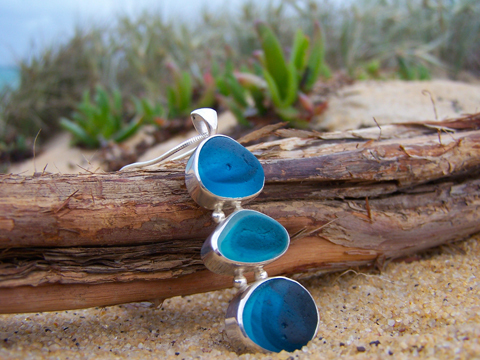 Our designs have been inspired by everything we love about life on the coast, including its amazing marine life. We are avid supporters of the Dolphin Research Institute and their work to protect our living marine treasures and contribute to their adopt-a-dolphin program. 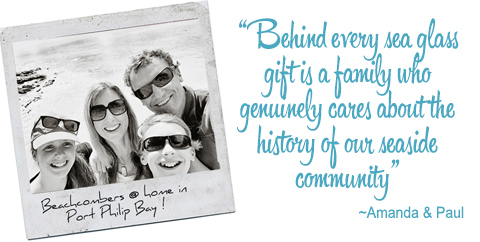 Collecting sea glass on the shores of the Mornington Peninsula has always been a family passion. Paul and I design and create our jewellery and home décor range together. Our children, Tiana and Liam, are avid beachcombers and love the ocean. Mum and dad enjoy exploring the coast and have walked many kilometres of shorelines to look for the glass here, interstate and overseas. 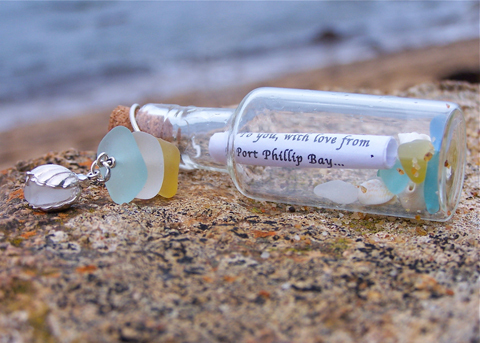 When our daughter was three (10 years ago now) she collected treasures left to her by the mermaids of Port Phillip Bay. We would find little pieces of glass everywhere, in every pocket, bucket and all through her room. She would leave messages in the sand for the mermaids and the next time we visited the beach she would find new gems left for her. One day I found a white frosted tear-drop-shaped piece of glass that looked like it was filled with seawater. 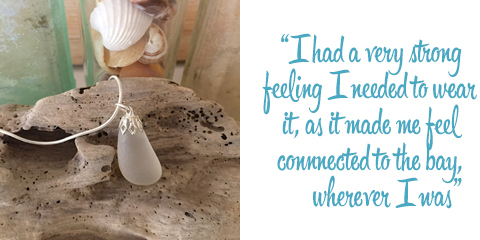 I had a very strong feeling I needed to wear it, as it made me feel connected to the bay, wherever I was. It all began from that moment. I still have that piece, and it is a reminder of how our techniques and style have evolved over time. 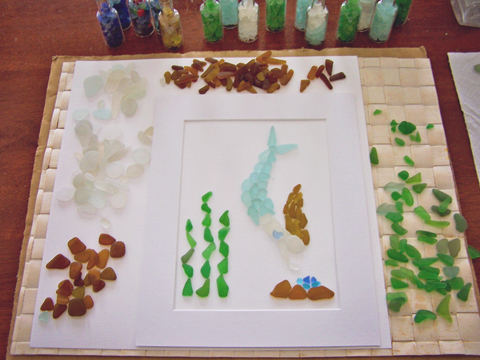 We also started by gluing sea glass onto card to make framed pictures, vases and plant pots. In the beginning we attached sea glass to a lot of things before we found our thing. Years later, I must admit I regret gluing certain pieces, now I understand fully how old and how rare some of the glass is that we used! As I came from a research background, even when we were starting out, I needed to know where the glass originally came from, how old it was, and the story behind the colours…before it became a mermaid treasure! It takes at least 20-30 years for a piece of glass to achieve its gem like frosting, so there is a little piece of the past in every sea glass shard. 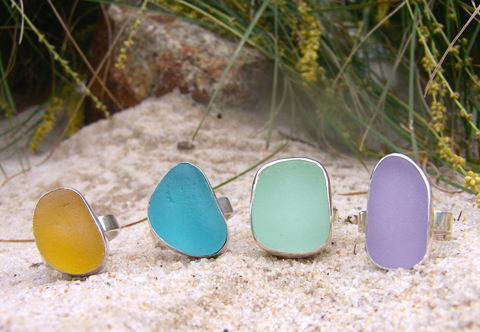 Our research soon gave us an understanding of how sea glass is formed and its history. First and foremost our workspace is Port Phillip Bay! It’s a stunning office, although in the middle of winter, when the wind is whipping off the Bay, we do joke about wishing we could paint or sew! We have a home studio at Mt Martha. 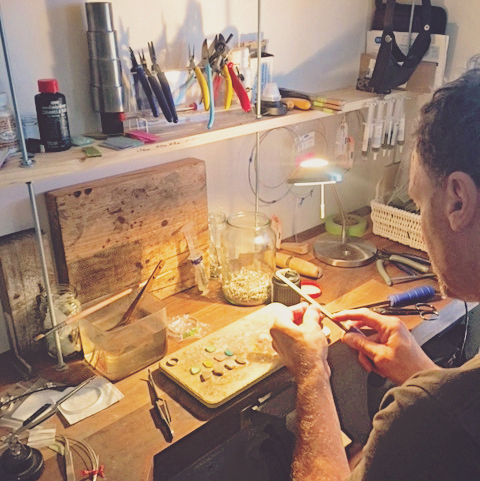 We love to see the colour and shape of the glass and pick it up so we have a huge table in the middle of the room covered with glass, either in jars or bowls, or lying on mats, and we have a silversmith bench with tools off to the side. We also like to photograph the glass so there are photos hanging all around the studio. 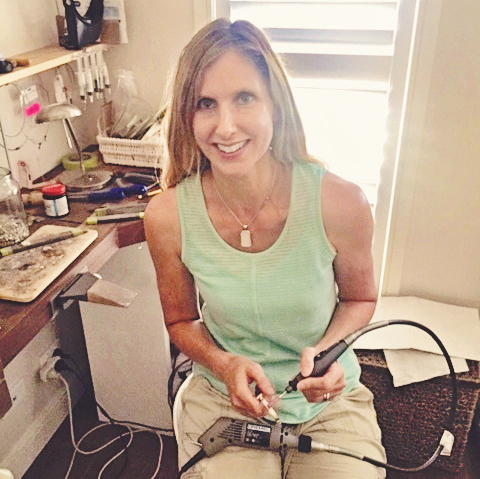 We are not all that tech-savvy, and prefer to have our heads in the sand and seaweed and to create in our studio, so Made It gives us a reputable online selling platform and a professional presence that we would find difficult on our own. Fabulous support and access to hear the stories and experiences of other sellers is also invaluable. To be a part of an Australian initiative to showcase independent Australian artists, designers and craftspeople was incredibly important to us when we considered all of our online options. We have been selling on-and-off on Made It for around five years now. 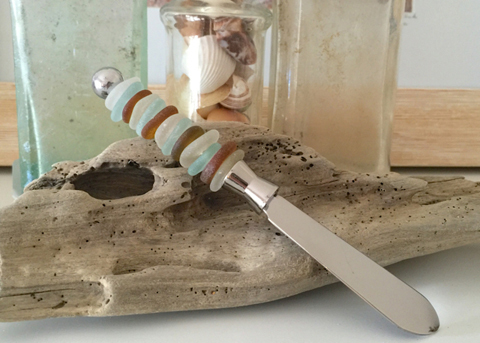 We have had to take breaks at various times over the years to look for more sea glass and restock our supplies. One of the things we love most about beachcombing for sea glass is that you never know what you are going to find. However, when we decided to create a business from our passion, this also became one of the biggest challenges. 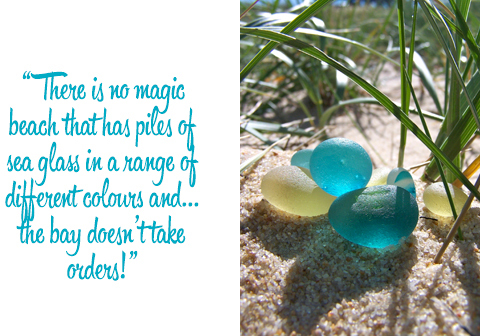 There is no magic beach that has piles of sea glass in a range of different colours and, not surprisingly, the bay doesn’t take orders! Beachcombing for sea glass has also increased a lot in popularity so it is definitely harder to find. We are inspired by the beauty of our local bay, Australia’s coastline and oceans around the world. 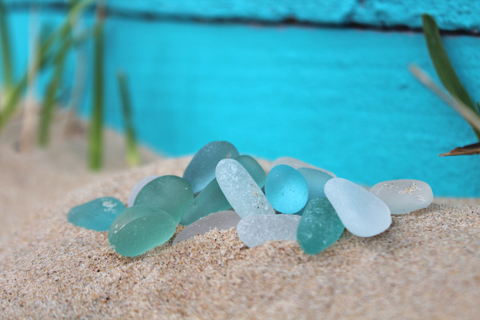 We find it fascinating that sea glass is ultimately glass at the end of its life cycle. Glass bottles and tableware created and used by seaside communities in bygone eras were discarded in coastal dump sites when broken or no longer needed. Nature has breathed new life into these glass fragments and resurrected them as beach treasures. 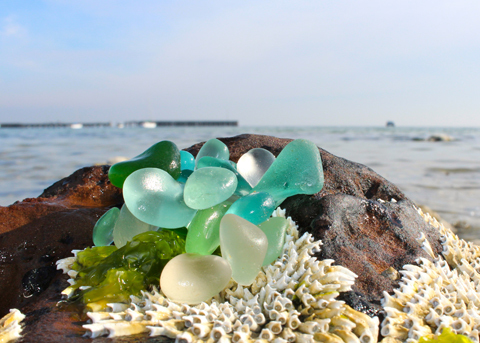 What we love most about sea glass is that each shard is a tiny fragment of our history buried in the sands. Clues to our past on the Mornington Peninsula can be found everywhere. It could be an old homestead, a historic building façade down the main street of town, a landmark plaque, a local antique shop or an art or photo exhibition featuring the work of past artists. We love that in amongst our modern existence, all around us are reminders of bygone generations who have lived and shaped the Mornington Peninsula. Small pieces of our history survive sometimes well over 100 years in the Bays of Port Phillip and Westernport and the open waters of the Bass Strait. Most sea glass on the Mornington Peninsula comes from bottles, as they were more frequently tossed away after use from the 1800s onwards. The rarer colours generally come from tableware that was not produced in the same numbers as bottles and not likely to be discarded unless broken. Our settings are intentionally simple in design to showcase nature’s work in recycling what our community no longer wanted. Nature is the artist and we see our role simply to set and show the glass exactly how it washed ashore, as created by our bays and oceans. In an age where we are constantly bombarded with advertising images and messages from companies trying to convince us of all the things we supposedly need in our life to make it better, handmade brings together a community of people who actually care about the story, who are interested in how something was made, who value creativity and who want to support each other. Handmade is special. The not-so-secret ingredient is the LOVE put into creating something by hand. Someone’s passion, time, commitment, pride, and story is woven into every piece. 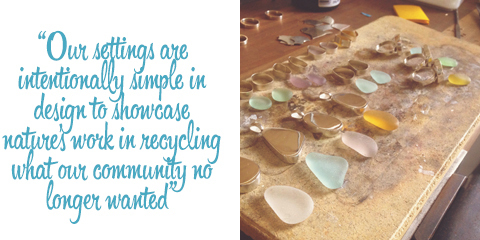 In our case, behind every sea glass gift is a family who genuinely cares about the history of our seaside community, the marine environment, the thrill of the hunt and showing just how incredibly creative nature can be in recycling what many would consider trash.